The Springboard Incubator Program helps start-ups with disruptive products and brands navigate (or some other qualifying word) into thriving companies in the food and beverage industry by providing funding, education & mentorship, and access to dedicated work spaces & facilities. Basically — emerging brands bring their disruptive product, and Springboard catapults them to growth using the power of Kraft Heinz’s people, facilities and resources. Origin Almond was joined by four other emerging brands, each with amazing products and stellar teams that are out to disrupt their respective categories: Ka-Pop Ancient inGRAINed Snacks, Brami Snacking Lupini Beans, Tiny Giants plant-based probiotic yogurts, and Blake’s Seed-Based allergen-free Bars. And while our brands play in different categories, what unites us is the goal of making our products, companies & ourselves better with help from each other and the program. In our communal office space at a WeWork on Michigan Ave., you’ll usually find us brainstorming, in healthy debate, or laughing at the shared moments of craziness we all experienced as a food startup. In the first two weeks, each day’s agenda consisted of meeting and on-boarding with different experts from inside and outside of Kraft Heinz. Springboard brought in multi-functional leaders from Sales and R&D within Kraft Heinz to speak and share best practices on their respective areas and provide us with tools & resources to help us address gaps and ultimately achieve our goals. Springboard also brought in outside experts to cover topics like cash-flow management, design thinking, and fund-raising. My personal highlight was learning from a renowned entrepreneur-turned-investor who led us through an intensive 4-day course of effective financial management & readying us for raising capital. Even after a career in Big CPG, its humbling to realize there’s so much more to learn about starting & building a brand. Mind blown! But of course, all that knowledge and tools can only be maximized if there are plans to leverage those resources against each startup’s unique challenges. Thankfully, Springboard’s ultimate goal is for the resounding success of the cohort’s brand teams. I worked closely with them to review and pinpoint Origin Almond’s current challenges as well as highlight opportunities to achieve future growth. 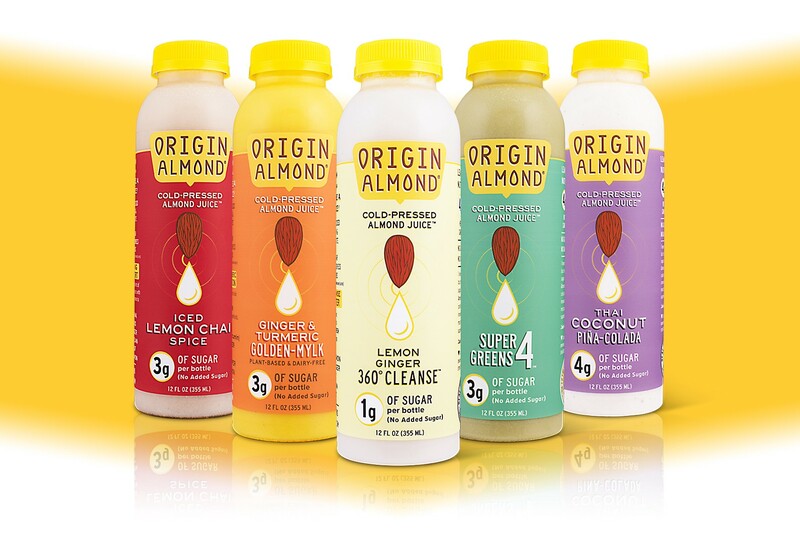 Kraft Heinz believes in Origin Almond’s mission to reignite the love for juice while helping to eliminate excess sugar from the American diet. We’re starting this movement with our Almond Juices to reinvent our category with a low-sugar premium juice platform. I’m excited to partner with them towards making our vision a reality and having our product available to a wider audience. Applications are currently open for the Kraft Heinz Springboard Incubator Fall 2019 class! If you’re a food & beverage founder that’s hustling to build an authentic & disruptive brand, learn more about the Springboard Incubator Program and apply online today at www.SpringboardBrands.com.